When Jesus came to the Jordan to be baptized, John "tried to prevent him." (Mt 3:14) Only upon Our Lord's insistence - "Allow it now, for thus it is fitting for us to fulfill all righteousness" (Mt 3:15) - does John concede and baptize Him. It seems a curious thing, to prevent the Lord from His mission. But in fact we make the same error quite often. So an appreciation of the drama at the Jordan can help us understand and avoid that mistake. John resists for obvious reasons. First, he recognizes Jesus' divinity and knows he is unworthy to baptize Him. Further, the whole purpose of John's baptism is not worthy of Our Lord. It was a "baptism of repentance." (cf. Mk 1:4; Acts 19:4) Those baptized by John confessed their sins as they were immersed in the Jordan. The immersion was a sign of dying to one way of life, of being purified and then rising to a new way of life. John knew that Our Lord had no sins to confess, nothing to repent of and no need to change His life. So, naturally, he hesitates to baptize Our Lord. But there is something still deeper at play in this scene. By submitting to the baptism of John - the baptism of repentance - Jesus identifies Himself with sinners. He steps into their place. He so identifies with those needing to repent that He becomes - in a sense - a "sinner" Himself. 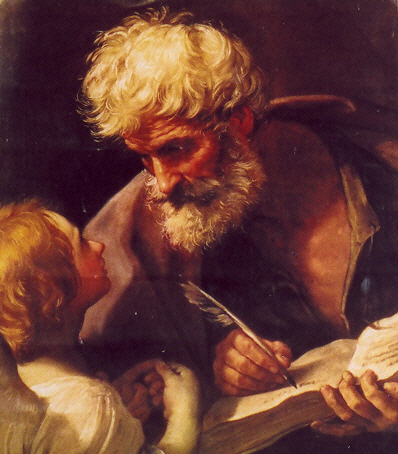 St. Paul says that God "made Him to be sin who did not know sin." (2 Cor 5:21) This happens ultimately on the cross. But it begins here. His baptism - when He assumes the place of sinners - is an anticipation of the cross. We make the same mistake as John every time we refuse to bring our sin, guilt and shame to Jesus. Whether out of pride (I do not want Him to see me this way) or misplaced devotion (I do not want Jesus to suffer) we refuse to give Him the very thing He wants: our sins and their effects. We resist, as did John, to place guilt upon Him. But to fulfill all righteousness - that is, to realize the plan of God - we must give Him what He has come to take. We cannot confess Him as the "Lamb of God who takes away the sins of the world" if we refuse to give Him our sins. In private prayer, then, we can imagine ourselves "baptizing" Our Lord - placing our sins, our guilt and our shame upon Him. In the sacrament of penance we definitively place our sins upon Him, who alone can free us from them. Only He can take them away. If we keep them to ourselves they only bring suffering and death. When we place them upon Him we find health and life.